Minister Ciaran Cannon, songwriter and musician, who will perform at the National Concert Hall tomorrow night. Fine Gael Minister for the Diaspora, Ciaran Cannon, is set to perform with the RTE Concert Orchestra tomorrow (Friday ) in the National Concert Hall as part of a sold out concert with folk singer Sean Keane. 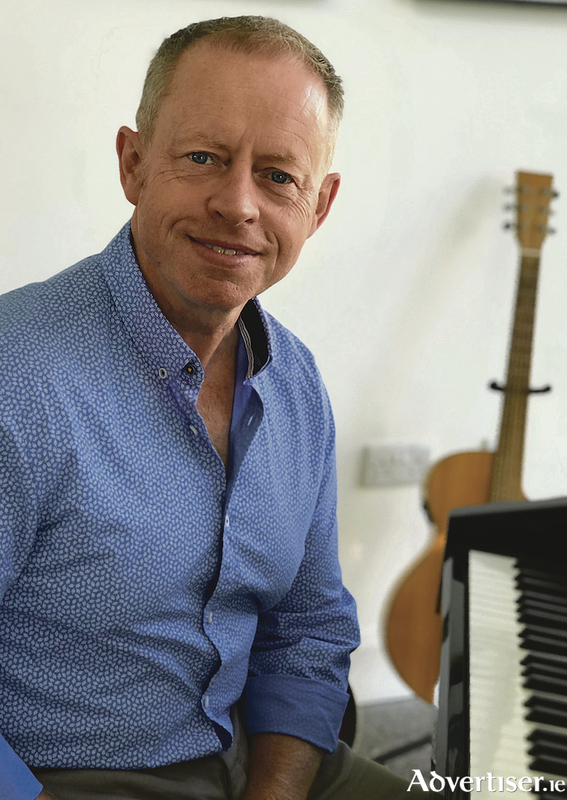 The Fine Gael Galway East TD is an accomplished musician and songwriter and has composed the music for two tracks on Sean Keane’s new album with the RTE Concert Orchestra which gets its first live performance this Friday. He will play piano with the orchestra in the National Concert Hall and says that the opportunity is a very special one for him. “My father was a musician, as was his father, and it’s important to me to continue that family tradition,” said Minister Cannon. “Sean Keane and his family have been extraordinary custodians of a musical tradition that is centuries old and this opportunity to collaborate with him and the RTE Concert Orchestra means a lot to me. I composed the music for two tracks on Sean’s new album, including the title track Gratitude and I’m really looking forward to performing with Sean and the orchestra in our National Concert Hall”, said Ciaran. The album Gratitude, which immediately went to number one in iTunes sales worldwide in the Folk category, is a groundbreaking piece of work showcasing songs old and new from Sean Keane’s repertoire. All of the twelve tracks were arranged by Gavin Murphy with the RTE Concert Orchestra being conducted by David Brophy. The recording with Sean Keane is yet another example of a national orchestra spreading its wings to perform with an ever more diverse group of artists to reach a wider audience. “Everyone involved in the RTE Concert Orchestra should be immensely proud of its ongoing development. It continues to reach an ever wider audience and in doing so, enhances the lives of so many people who may never have heard a live orchestral performance before. Whether it’s with Sean Keane, Jenny Greene, Declan O’Rourke, or the multitude of artists who have worked with the orchestra, every time an audience is immersed for the first time in that glorious orchestral sound, it really is a moment to remember for so many people,” he said. “To hear Gavin Murphy and David Brophy working their magic on a piece of music that I wrote on a piano in my living room, to hear David Agnew playing the opening bars on the oboe, all of those moments will stay with me for life. I feel deeply privileged to have been part of this very special musical project and I’m very grateful to Sean Keane and the RTE Concert Orchestra for allowing me to collaborate with them in making the album. Friday night will be a very special night indeed for my family and I”, concluded Minister Cannon.